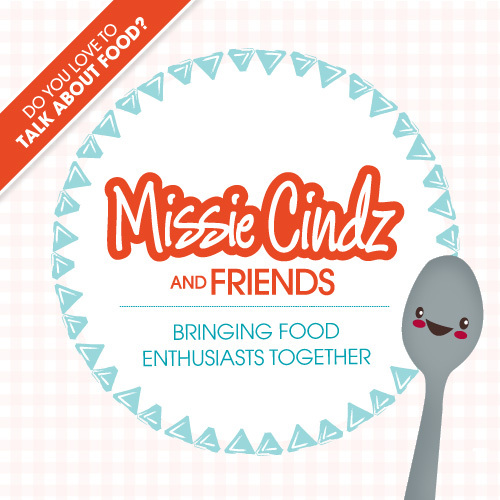 Missie Cindz is looking for some foodie friends and blogging contributors! You do not have to be a fantastic writer – your narrative is just your own. Ability to post at least 1-3 posts per month (200-500 words per post – it’s entirely up to you). Be yourself, have your own tone of voice and a reading style that readers will find easy to read. To be honest, I’m not a professional writer, but when you find a subject that you have real passion to talk about, you’ll find the structure and writing style comes naturally. Don’t worry, I can provide blogging guidance if needed. You will get listed as a contributor with your own introduction post and I can link to your own blogs/twitter. In addition a few other Missie-licious treats will be provided (or sent to you) as a thank you. Chef Skills – learn from the chefs and be a master in your kitchen! Don’t want to become a regular contributor but a Guest Blogger? That can also be arranged. Remove the ‘(‘ and ‘)’ brackets. Please include a link to your current blog(s) or twitter as well as tell me how often you would be able to post. The main thing is to enjoy writing for Missie Cindz – to enjoy your jolly good food adventure – afterall, what’s life without treats! ?